Destruction. Confusion. It’s all an illusion. The bruises you witness. Body like smashed dishes. Your body still holding, the pain that takes over. Your breathing’s now slower. You’re still fighting, trying to survive. WOMBmen looks at Domestic Violence in Aotearoa in this day and age. The piece uses a dear friend of mine’s experience (with her permission) with domestic violence as a stimuli for the piece and emphasising moments of the experience for choreographic inspiration. This piece is a glimpse of hope. 15 strong WOMBmen will take to the stage to create awareness and to pay their respects to those affected by Domestic violence. This piece isn’t made to create answers or a resolution but instead is posed to seek questions and create a way for us to speak of such a topic through dance. The three sections of the piece are named: The ticking bomb, Bruised and Impact. WOMBmen. The silence is over. 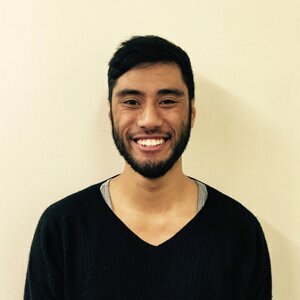 I’m a third year student studying for a Bachelor of Dance Studies at the University of Auckland. I had the pleasure of being involved in Short + Sweet in 2014 where I performed the piece ‘OPAQUE’ choreographed by Vivian Hosking-Aue. It is a great feeling to return to Short + Sweet in 2016, now as a choreographer with the aspiration of portraying my ideas and emotions through the bodies of others on stage. It’s great to be back and I’m excited to be showing my work: WOMB-MEN for the first time. Thank you to the dancers who have collaborated with me in this process; for their stories, their time and energy and to my support team such as my parents, friends and tuakana: Sophie Williams, Carol Brown, Teuila Rankin – it means the world to me! !